Jake Shimabukuro in Concert at the Westin Hapuna Beach! Don’t miss Hawai’i Island’s event of the season! Ukelele superstar Jake Shimabukuro, one of the most exceptional and innovative ukelele players of our time, returns for HPAF’s Annual Scholarship Fundraiser. All proceeds from this fundraiser will assist aspiring young artists from Hawai’i Island, as well as those worldwide, to study and perform during HPAF’s 2019 Summer Festival. Kick of the holiday season and celebrate the 30th year of the Big Island’s premier holiday extravaganza! Stroll the scenic seaside while enjoying fine local cuisine and festive libations throughout the Luau Grounds at Kamakahonu Bay. Courtyard King Kamehameha’s Kona Beach Hotel is offering a special event room rate and package. To book, call (808) 331-6330 and ask for the Christmas With The Chefs room rates. CHAPTER MISSION~The ACF Kona Kohala Chefs Association members are industry leaders committed to culinary enrichments through professional development and education in our community. The American Culinary Federation, founded in 1929, is the largest professional, not for profit organization for Chefs and Cooks in the United States. ACF membership provides opportunities for professional development, career building, and networking. More that 20,000 culinarians and food service professionals have joined the ACF for information, education, inspiration, and prestige. The Kona-Kohala Chapter~Our Island Chapter was started in 1980 with twelve members. Today, there are more than fifty chapter members, plus a College Junior Chef Chapter and a High School Junior Chef Chapter.This group of food service professionals, vendors, and growers attend a monthly meeting on the first Wednesday of the month, from 11:30 am to 1:30 pm. The meetings are held at various restaurants and hotels in West Hawaii. We invite you to attend our next meeting and join our Kona-Kohala Chapter. The Big Island of Hawaii offers many culinary events throughout the year. Our chapter holds two fundraising events. The premier Christmas event is in its 28th year and assists with scholarships for our members and student culinarians. Our second benefit is “Culinary Arts Under the Stars” held at the Kings’ Shops. This benefit is directed towards the culinary program at Hawai`i Community College-Palamanui (through our endowment). Some proceeds from the silent auction benefit our ACF Chef and Child Foundation Program: a philanthropic arm of the ACF. Hilo Science Cafe features people from the Big Island scientific communities speaking on topics related to their fields. Our speakers will be representing the current research that is done on Big Island. They will touch on subjects such as geology, astronomy, conservation biology, marine science, pharmacy, etc. Cost/Cover: Free for all ages–recommended for adults. Character….history….a storybook setting make this Kalopa property standout from the ordinary. This home incorporates into its core the Old Paauilo School, moved to this property from its original location many years ago. Additions over time have enlarged this shingle covered residence. Ocean views peak out form the trees. A large barn with bath and office was built later to accommodate the horses who once roamed these pastures. Attached to the barn is a two bay carport, adding parking spots to the other carport fronting the home. Your vision and some tender loving care can turn this into a true charmer. The property is located about a half mile below the entrance to Kalopa State Park. Ride your horse up to the park to take advantage of the park’s equestrian trails. Enjoy the quiet neighborhood where I’o fly. 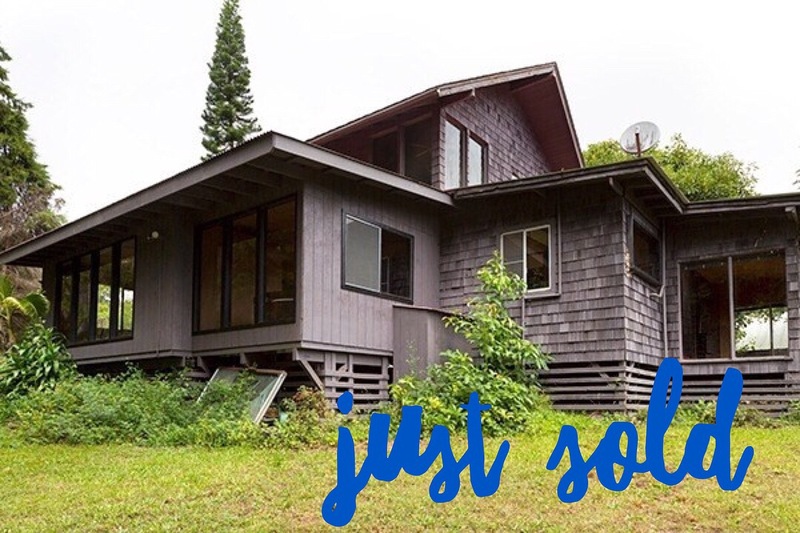 This nearly 5-acres extends from Kalaniai Road to Kalopa Gulch at its rear boundary. The house and barn sit through the gate at the rear portion of the lot. Road front paddocks create a buffer zone that hides the home and barn from the street. Do you see your horses and cows happily munching through the pastures? A homestead of your own in Kalopa! If you are thinking of buying or selling a home please contact me! 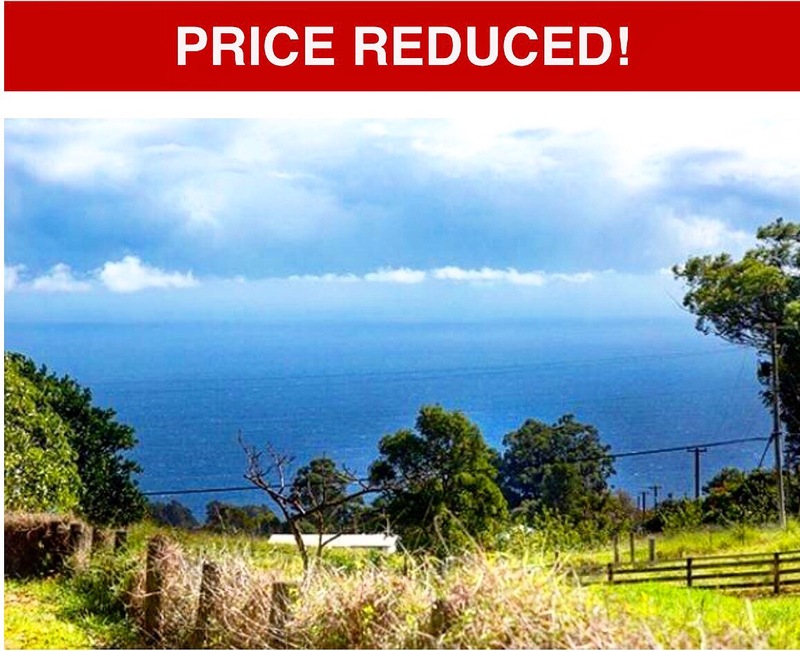 Character….history….a storybook setting make this Kalopa property standout from the ordinary! 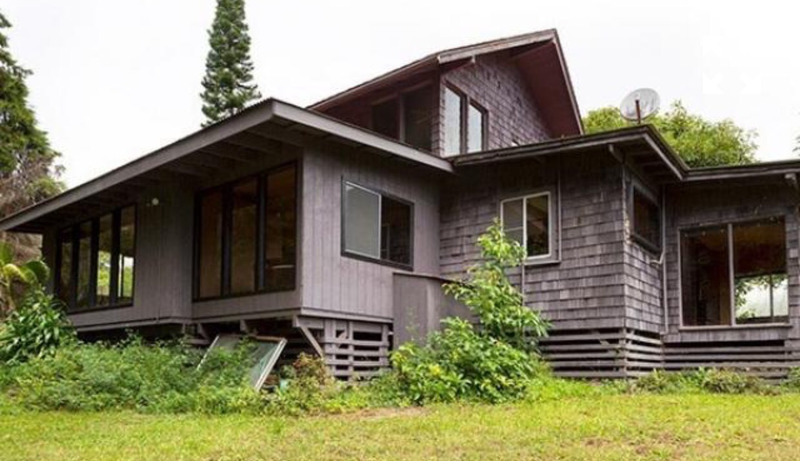 This home incorporates into its core the Old Paauilo School, moved to this property from its original location many years ago. Additions over time have enlarged this shingle covered residence. Ocean views peak out form the trees. A large barn with bath and office was built later to accommodate the horses who once roamed these pastures. 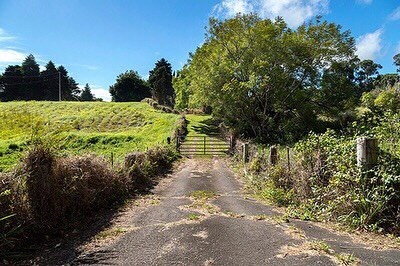 Could be used as a barn, a warehouse or a workshop…..lots of potential. Attached to the barn is a two bay carport, adding parking spots to the other carport fronting the home. Your vision and some tender loving care can turn this into a true charmer. The property is located about a half mile below the entrance to Kalopa State Park. Ride your horse up to the park to take advantage of the parks equestrian trails. Enjoy the quiet neighborhood where Io fly. 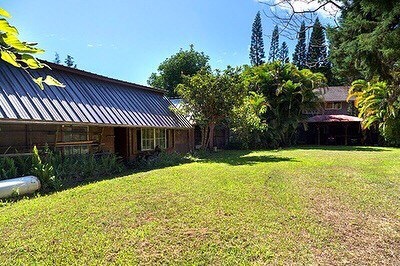 This nearly 5-acres extends from Kalaniai Road to Kalopa Gulch at its rear boundary. The house and barn sit through the gate at the rear portion of the lot. Road front paddocks create a buffer zone that hides the home and barn from the street. Do you see your horses and cows happily munching through the pastures? Its time to turn that dream into reality…..a homestead of your own in Kalopa! Shown by easy to arrange appointments. Listing agent prefers to be present.